Ashley Young is set to remain at Manchester United this summer, as Jose Mourinho continues to turn down offers for the Englishman, reports the Sun. Young is currently on the last year of his contract, which expires at the end of the upcoming season, and the lack of news reports suggesting that a new deal is on the table could be taken as a sign that his days at the club are numbered. Stoke City have shown a firm desire to sign the 32-year-old, and a move to the Potters could very well be on the cards. However, Mourinho has turned down every approach for the player so far, and it is understood that he is keen on keeping Young till his contract expires. The former England international’s versatility could be a major factor in Mourinho’s reluctance to sell. The Portuguese boss believes he can still use Young, with fixtures set to come thick and fast next season due to United’s participation in the Champions League. A lack of options proved to be a major worry for Mourinho in his first season at the Old Trafford outfit, and he will be hoping to avoid that same mistake this time around. Despite his injuries and constant blips in form at the start, Young has managed to salvage a decent Manchester United career when he very well could have left the club three years ago. As in the case of Antonio Valencia, whose form when played on the wings became a big source of frustration for the fans. 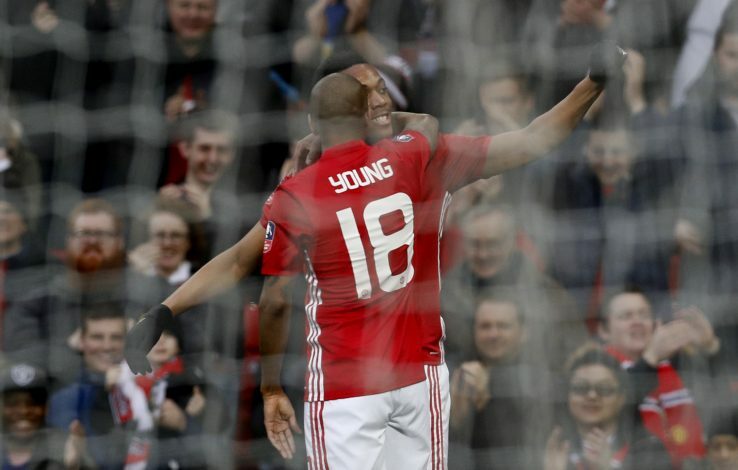 However, after Louis van Gaal arrived at the Theatre of Dreams, Ashley Young was converted into a full-back, and he has since shone in the position whenever called upon. The former Aston Villa man has been very reliable when given a chance, and has shown maturity and experience – something the squad is heavily lacking at the moment following the departures of Wayne Rooney and Zlatan Ibrahimovic. Hence, even though he may not be first-choice, Mourinho is eager to keep him for the length of his contract as a solid backup option in case things begin to go wrong at any point during the upcoming season.